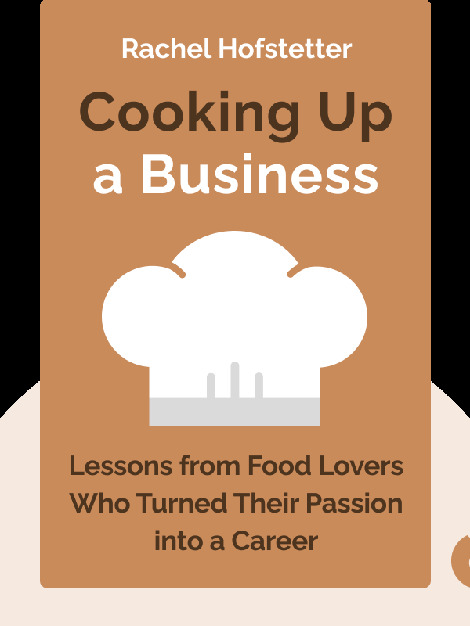 Cooking Up a Business (2013) is essential motivational reading for any foodie-turned-entrepreneur. Whether you’re testing the waters with a new product or looking to revitalize your company strategy, these blinks offer you guidance combined with real-life stories from leading entrepreneurs. 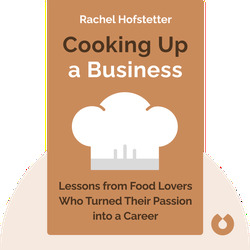 Rachel Hofstetter is an avid food writer and contributor to magazines like O, The Oprah Magazine and Reader’s Digest. She is also the founder of Guesterly, a service that creates who’s who pamphlets for personal and corporate events.